In Germany, according to the Federal Ministry of Education and Research, investments in R&D have increased over the past years and do correspond to 3% of the GDP. According to the Lisbon-strategy and its successor, the Europe 2020-strategy, all member states of the European Union are supposed to pursue and reach this goal. This collaborate effort is highly important, as the European Union is not a collection of isolated states but a strong and interdependent political, social and scientific community. 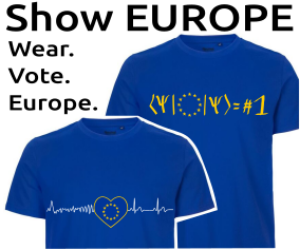 A community sharing and pursuing common ideas, bearing common responsibilities and commonly shaping the lives and prospects of hundreds of millions of European citizens. In Germany, presently the two main problems of the science system are underfunding of the universities, and in particular the overall lack of permanent positions in science, a development triggered by the present employment laws. Within the so-called „pact for research and innovation“, the federal government has successfully been increasing the funding for the non-universitarian research institutions over the last years. But even in well-funded non-universitarian German institutions the percentage of scientists working on fixed-term positions only can be as high as 80 % (not including PhD-positions). There has also been an initiative to temporarily allocate federal funding to universities („initiative of excellence“). However, according to the German constitution only the federal states are responsible for the universities, also financially: The federal government is not allowed to fund universities on a regular base. Due to e.g. budgetary constraints of the federal states, universities tend to be „underfunded“ and rely strongly on third party funding, with all its problems and the overhead they induce. Furthermore, in some states s.a. Saxony the universities suffer from continuous and ongoing cuts of their state funding, which have reached of even crossed a critical level. Correspondingly, there are presently two main areas of activity in German science policy: changing the constitution to allow continuous federal funding of universities, and changing the rather unfortunate law on fixed-term contracts in scientific institutions (science employment act). Changing the law is also one of the main points of a current petition addressed to the German minister of science and the German vice-chancellor. Over the past months, it was signed by more than 25.000 supporters. Despite of the considerable financial efforts, the deregulation via the science employment act has led to a dramatic deterioration of the scientific job market in Germany, including the non-universitarian institutions. Recently, also the science council has identified the lack of permanent employment opportunities as highly problematic. The scientific job market is now entirely dominated by fixed-term contracts which spread a feeling of personal insecurity. There are even cases, where contracts run for a few months only. To many scientists, a permanent position appears like an unreachable Fata Morgana. The uncertain employment conditions do not only affect the researchers’ lives and that of their families, but also scientific quality and independence. It may also be one of the main factors making in particular women drop out of science after their PhD. A further peculiarity of the present law is a rule limiting the legally allowed time of fixed-term employment (including the PhD) to roughly twelve years in total. Well-intended as a protection against an endless concatenation of fixed-term employments, it paradoxically has exacerbated the situation: Once the personal twelve years are „consumed“, no German university or research institution is allowed to employ the scientist further, unless it is a permanent position, or he/she is from then on paid from third party funding. Far from offering permanent employment, research institutions typically rather follow a „fire and forget“ mentality, encouraged by the complete deregulation inherent to the science employment act in its present form. And also for those having to rely on third party funding: if ever there is no follow-up third party project, highly skilled and specialised scientists, at the age of 40 and older, find themselves unemployed “by law”, regardless of their experience and know-how. Fostering a dramatic lack of permanent positions in Germany, the science employment act makes many excellent scientists leave science or leave the country to obtain a permanent position elsewhere, e.g. in the UK or outside of Europe.